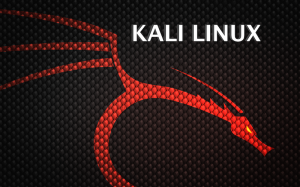 Today, during Blackhat Europe, Offensive Security announced the availability of Kali Linux 1.0, which aims to be the most advanced, robust, and stable penetration testing distribution to date. It is the successor of Backtrack Linux. 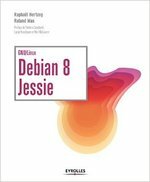 Debian provides a reliable base to build a new distribution and yet can easily be customized to add bleeding edge features, thanks to the unstable and experimental distributions. Even though Kali was prepared in secret, from now on Kali’s development happens in the open in public git repositories. There are repositories for all the packages that have been created (or forked) as well as for the ISO images creation script. Debian packages are maintained with git-buildpackage, pristine-tar and the associated helper tools, making it easy to integrate the latest changes of Debian. Kali packaged several hundreds tools that relate to their field and they intend to contribute those which are DFSG-free back to Debian. In the last year, I have been working within the Kali team to setup large parts of their infrastructure as a proper Debian derivative. Kali’s main ISO images are built with live-build. All the bugfixes that I contributed to Debian Live were the direct result of my work for Kali. The git repositories are managed with gitolite. 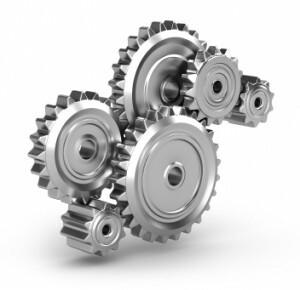 The package repositories are built with reprepro. The build daemons use rebuildd and sbuild. The (push) mirrors are synchronized with the same tools than Debian (based on rsync), but there’s also a central server which redirects to a mirror close to you (and which is used by default everywhere). This one runs mirrorbrain (and not Raphaël Geissert’s redirector). The ARM build daemons (armel/armhf) run on machines powered by Calxeda’s Highbank (4 cores, 4 GB RAM) that work pretty well. Even better, Offensive Security is willing to dedicate one node of this “cluster” for Debian’s own usage. This first release is not an end. It’s only the start of a journey. Not all applications have been packaged yet and there’s lot of work left to integrate everything in Debian. I’m really looking forward to continue my collaboration with the Kali team as this has been one of the most interesting project I ever had as a Debian consultant. And also one of the few where I could really contribute something back to Debian. Lately I have been working on the triggers feature of dpkg. I would like to share my plan and what I have done so far. I’ll first explain what triggers are, the current problems, and the work I did to try to improve the situation. Dpkg triggers are a neat feature of dpkg that package can use to send/receive notifications to/from other installed packages. Those notifications take the form a simple string. This feature is heavily used to track changes of packaged files in a list of predefined directories, and to update other files based on this. For instance, man-db is watching the directories containing manual pages so that it can update its cache (in /var/cache/man/). 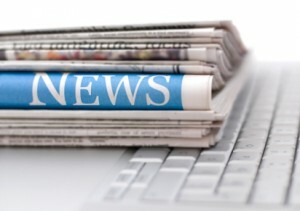 install-info is updating the index of info pages when there have been changes in /usr/share/info. gnome-menus is updating its own copy of the menu hierarchy (with entries from /etc/gnome/menus.blacklist blacklisted) every time that a .desktop file is installed/updated/removed. As you guessed it, those “Processing triggers” lines correspond to the packages which received (one or more) trigger notifications and which are doing the corresponding task. I have now asked APT maintainers to use those options by default, I filed bug #626599 to track this. At the same time I fixed bug #526774 reported by APT maintainers. This bug forced them to put a work-around in APT which resulted in running triggers sooner than expected. The implementation of triggers has several consequences on the status that packages can have. Let’s assume that the package A installs a file in a directory that is watched by package B (and that B is currently in the “installed” state). When A is unpacked, dpkg adds B to its “Triggers-Awaited” field and lists the activated trigger in B’s “Triggers-Pending” field. Package A is in “unpacked” state, but B has been changed to “triggers-pending”. When A is configured, instead of going to the “installed” state, it will go to the “triggers-awaited” state. In that state the package is assumed to NOT fulfill dependencies. However, B—which is still in “triggers-pending” state—does fulfill dependencies. A and B will switch to “installed” at the same time when the trigger has been processed. The fact that the triggers-awaited status does not fulfill dependencies means that some common triggers like man-db have to be processed regularly just to be able to ensure dependencies are satisfied before running the postinst of other installed packages. But a package which ships a manual page can certainly be considered as configured when its postinst has been run even if man-db has not yet updated its cache to know about the new/updated manual page. When you activate a trigger with the dpkg-trigger command you have an option --no-await to avoid awaiting the trigger processing (and thus to go directly to installed state after the postinst has been run). But with file triggers or activate trigger directives, you do not have this option. This is the problem that I tried to solve during my last vacation. But before changing the inner working of triggers, I wrote a non-regression test suite for that feature (commit here) so I could hack with some confidence that I did not break everything. 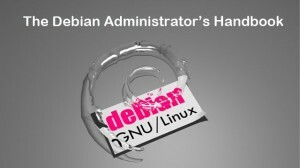 The result has been presented on the debian-dpkg mailling list: see the discussion here. I added new directives that can be used in triggers files that work exactly like the current triggers except that they do not put triggering packages in trigger-awaited status. I believe the code to be mostly ready, but in its current form the patch brings zero benefits until all packages have been converted to use the trigger variants that do not require awaiting trigger processing (and the change requires a pre-dependency on dpkg to ensure we have the required dpkg that understands the new kind of trigger directives). Thus I wonder if I should not change the default semantic of triggers. The packages which really provide crucial functionality to awaiting packages through triggers would then have to be updated to switch to the new directives. If you’re a packager using triggers, you can thus help me by answering this question: do you know some triggers where it’s important that the awaiting packages are not considered as configured before the trigger processing? In most of the cases I checked, it’s important for the triggered package rather than for the triggering package. In truth, a package in triggers-awaited status is usually in a good enough shape to be able to satisfy dependencies (i.e. requirements that other packages can have), but it would still be worth to record the fact that it’s not entirely configured yet because it might be true from the user’s point of view: for example if the menu trigger has not yet been processed, the software might not yet be visible in the application menu. If you appreciate this kind of groundwork that benefits to the whole Debian ecosystem, please consider supporting my work. Click here and give it a look, there are many ways to contribute and to make a difference for me.